The gorgeous cinematography. I don’t remember whose review I was reading that mentioned the fact that director Alexander Payne seemed intent upon reminding you in The Descendants that they are in Hawaii, but it’s true. (Sorry if it was your review. Let me know and I will make sure you receive credit for it.) There are so many panoramic views of the Hawaiian horizons in this film that each time I saw one I laughed to myself remembering those words. However, it works so beautifully and keeps you in the atmosphere of the film and the story it tells. Sharing that, even in “paradise,” trouble can abound…yet be overcome! And even though there are also several close-ups of George Clooney, you don’t mind the added look into the mind and heart of his character. The realistically relatable story. The aforementioned reality of the characters and relation to them is so strong in part because of the amazing relatable story. This is a story about a man, who, not in touch with his family, is forced through less-than preferred circumstances, to come to grip with life and what is most important. All of the other pressures of life come secondary when it comes to family and the legacy passed on to one’s descendants. His ancestors provided to make sure he was taken care of, and now he must scramble to do the same. People, especially parents, will find this film to be a gem along the way on their trek of mistake-filled but perserverant parenting (especially single parents). 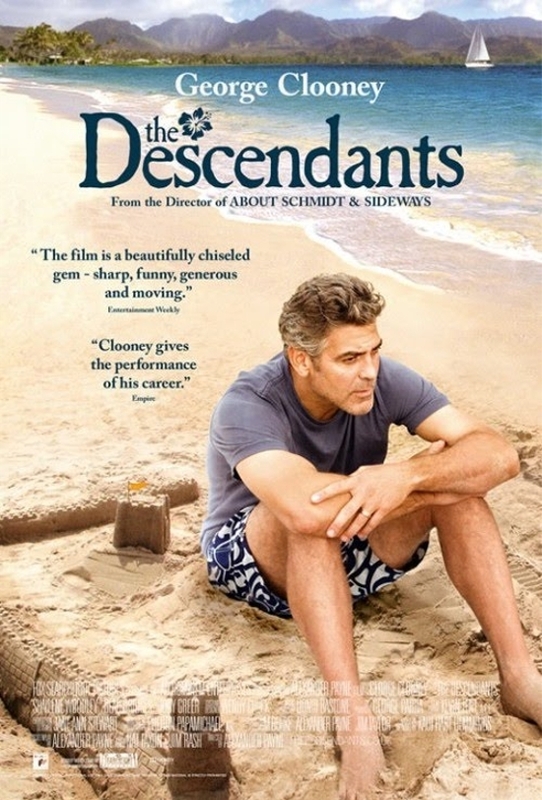 I fully began this review with the determination to tell you these following words: “The Descendants is a good movie, but is really overhyped when it comes to this year’s award season.” I really meant to say that…I did. What? You’re looking as if I’m lying to you! Ha! I did. 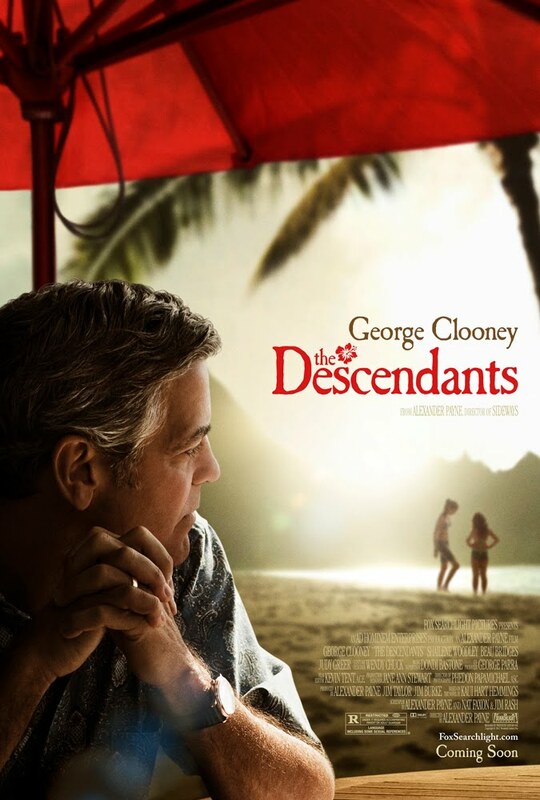 I truly expected to tell you that The Descendants is a fun film but is not worthy to be included in the ranks of those that occupy the category of my favorite 2011 films. I wanted to say that. …but that was before I finished watching and reviewing it. I can’t say that now. In fact…I’d have to claim “Semi-Opposite Day” after those words if I were to tell you those things. Yeah, this is one of my favorites of 2011. Excellent review of it, T. Well done. Thank you sir! I appreciate it. I was quite surprised with how taken I was with the film. So happy you liked it man, I’m guilty as charged when it comes to hyping this movie. I loved it though. The cast was great, as you say. No doubt about it. The script was great and so was the scenery, as you point out. I think there’s a really wonderful themes about taking care of the next generation (our descendants)… It makes it a more meaningful movie than just a typical family drama. Oh, and I left this comment via my iPhone 4s. It’s awesome. You should get one. lol. thanks for the comment. Yeah, it really was great and had some fantastic underlying themes. I did. I hope you like it and that you get to see it sooner rather than later. ha. I think I may skip on actually writing the review for that bad flick. I dunno, perhaps after vacay. What a waste of time. Can’t wait for you to see it. Thanks for the comment. Honestly, I wasn’t the huuuuugest fan of The Descendants, but I did enjoy it. You mention that when the film starts out, we’re unaware of the depth that’s going to come from these characters, but that’s what turned me off- I spent the first half of the movie following along but not ever really getting invested, and it’s only when things kick into high (emotional) gear towards the second half that the move really spoke to me. I understand where you’re coming from. Glad you were still able to enjoy it as the movie played on. Loved it as much as you did. I’ve seen mixed reviews on this, but personally I can’t wait to watch it again. It’s like a carpet of emotions slowly being made thread by thread. Wouldn’t mind it winning an Oscar! I wouldn’t mind either. Thanks for commenting today! So glad u liked it too. I am super pleased that we are on the same page with this one T.
I was VERY surprised at how much I enjoyed it! Thanks Scott. I hope you have a great weekend! I was very surprised by it, because I loved it and I wasn’t expecting that! 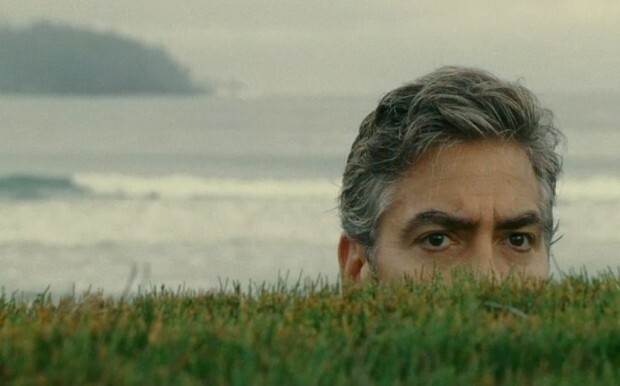 Great film and Clooney is, indeed, fantastic in this movie! Nice review! Thank you Diana. Appreciate the compliment and the comment! Glad u liked the movie too! A really good film from one of the best directors working in Hollywood today. Great review T! Agreed Dan! Wasn’t expecting it to be so pleasing! I’m going to see if it’s still playing in my local theaters. Looks really good and your review confirmed it! I hope you get to see it soon. I think you will really enjoy it. A lot more than an iPhone! Glad you liked it T. Solid flick although I would have wanted more dry humor from Clooney. It’s a bit too heavy handed at times and definitely one of those Oscar bait movies but overall, it’s nice story about forgiveness and accepting the best and worst of the people around you. You’re right Castor. It is a great movie about forgiveness and acceptance! Hi Andina! Thanks for reading. Glad you enjoyed the review. I really liked this one.